Walking into the middle of a trade show can be overwhelming when you’re an attendee. With each booth boasting the newest piece of technology and flashy design, it’s as if each retailer is shouting out, “Look over here!” or “No, no. Look at me!”. When everyone is trying to grab attention, and an attendee’s sensory circuits are blown, they may walk away and not want to engage with anyone at all. That’s why it’s important to engage an audience without overwhelming them. Keep this in mind as you create your trade show booth design. It’s one thing to attract an attendee’s attention, it’s more important to keep it. Making your booth stand out at a trade show isn’t easy. The main trouble is that with other vendors and booths trying to attract attendees within a limited space, they all seem to resort to doing the same things to stand out. You’ll never attract attention if your booth is a carbon copy of your competition but it can challenging to create an exciting and unique booth on a budget. We have some ideas to help your 10×10 or 10×20 booth stand out. The best investment is a well-made booth that you can use again and again. 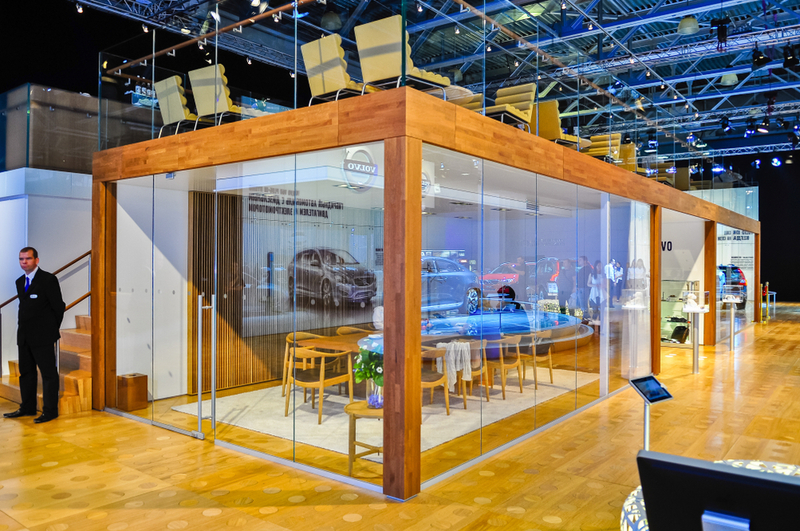 While quality booths are a big investment initially, they can last for years and make a positive impression on attendees. Choose a versatile design that can be modified to fit different sized spaces depending on what is available at different shows. We recommend a booth that converts from a 10×10 to a 10×20 to a 20×20, because it can grow as your company does. A versatile booth design should allow you to add or take away depending on your needs and what you’re trying to accomplish at a tradeshow. You may attend a show because you want to give attendees an overview of your company. Or you may attend an event because you want to focus on a particular product or service your company is offering. Either way, your booth design should be available to accommodate your needs. You’ve probably heard a lot about injecting technology into your booth. Nowadays it’s a necessity, not a choice as consumers expect it. Your attendees are digitally savvy, and like it or not they expect the same in all of their interactions. 3D design, model, and animation—3D maps, 3D projection mapping, physical model design. 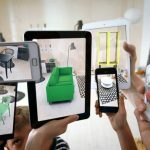 Virtual, augmented, or mixed reality experiences—Virtual Reality (VR), Augmented Reality (AR), and Mixed Reality Experiences multi-platform, sensory feedback and fully immersive. Another quick and easy way to figure out what kind of technology you need to implement, is to see what your audience uses. Do they fully embrace VR experiences? It may pay to have a VR experience or two connected with your booth. Speaking of VR, you can introduce the virtual element without busting your budget. A 360 virtual tour is much cheaper than designing and building a custom virtual reality solution not to mention supplying half a dozen headsets and stations to your attendees. However, if you’d like to swing for the fences, we’re game. Touch on the journey of your organization and what your brand stands for – then share it. Show how your product and service is created – consumers value transparency in creating products they love. Share testimonials from your staff and clients – Far more effective than the brand expressing how great they are are other customers. Use your booth to tell the unique story of your brand in a creative and engaging way. Once you know your organization’s journey and why you’re sharing your story, you’ll be able to focus then pick and choose your booth design. For instance, if it’s important for you to have testimonials, this is where you’d employ large screen or VR to help you execute this. How does focusing in on the story you want to tell save you money? If you’re going for flash, let’s face it, you’ll be outspent by someone, if you’re trying to leave your audience with a memory, and you’ll be in the minority. Studies have shown that audiences valuable experiences over objects. Whenever possible, look for a trade show 10×20 space that will give your company more room to stand out and tell your brand’s story. We advise you to look for a partner with a track record of helping businesses create engaging tradeshow booth experiences on a budget.